This tutorial will explain you how to reset Android on your Huawei Ascend G700. The Huawei Ascend G700 is a mobile Android device released in 2013, so perhaps at this time may be necessary to reset Android and return it to its factory state in order to regain original speed and / or to improve its functionality. By resetting Android you will end up resolving software errors, regaining speed and such procedure will even cancel any misplaced settings you may have enabled on your Huawei Ascend G700. This includes the patter blocking password: You can reset Android in order to eliminate any active blocking on your Huawei Ascend G700. A word of caution: By performing a reset Android, you will completely clean your Android operating system, leaving your Huawei Ascend G700 just like when purchased, devoid of any personalized data or installed apps. Next tap Clear All, and confirm. 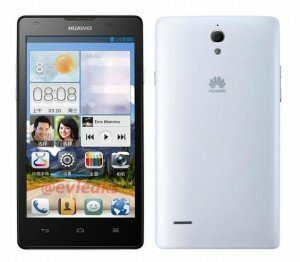 After a few minutes your Huawei Ascend G700 will restart, completely renewed.